French Connection Sample Sale Haul! My mum and I have been going to the French connection sample sales for about 6 years now, it’s sort of become our own little tradition. We always make a day of it, wake up early so as to avoid the crowds, do our haul and then have a leisurely lunch afterwards, it’s so much fun and we get to spend some quality time together. I almost always spend way more money than I intend to at these sales simply because everything is so good and I want it all, grrr! 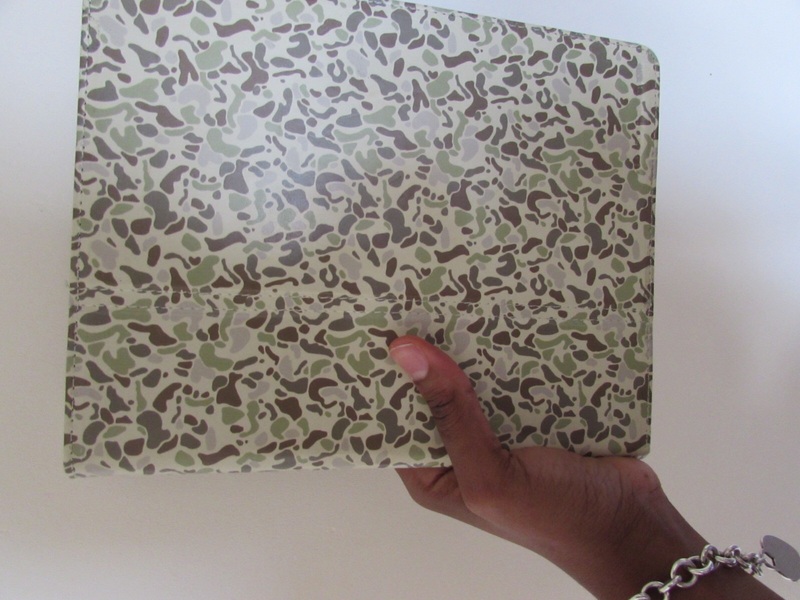 This time, I decided to be super disciplined and set a budget for myself before I even left my house. So the budget I set for myself was £100, I figured I’d probably maybe get a couple of nice pieces out of that. I was intending to follow through with that budget, so I withdrew exactly £100 and left my wallet at home so as not to get tempted and end up spending more again, my mum was going to have to buy me lunch;-) My shopping trip actually went a lot better than expected, and guess what? I even had change left over, woohoo yay me!!! So I spent a total of £95 with £5 left over to contribute towards lunch hahaha. I got a total of 11 pieces, 2 going out dresses, 2 tops, 2 pairs of pants, 2 shorts, a skirt, a bag and an iPad case. Not bad at all if I do say so myself. I got home and decided to have a little fun amateur photoshoot with my slightly unwilling resident photographer, (my mum). Ok totally random thought here, to my fellow bloggers…who takes all your pictures? Do y’all just happen to have professional photographers who go everywhere with you? Lol, please do share I actually really wanna know. Right, back to the sample sale haul, here’s a little visual of what I bought, the pictures aren’t the best quality and I wasn’t exactly all “made up” and stuff, but you know what? Completion over perfection, I knew if I didn’t take these pics there and then I would probably dilly dally and end up not even writing this post, so I’m just gonna go for it! First up its his super fun and flirty grey tutu-style dress. I love this dress, it really suits my personality down to a T. I don’t know how to describe the material except to tell you it’s very soft and fluffy. I’d probably add a statement belt to this one and go minimal on accessories because it really doesn’t need them in my opinion. Nice pair of heels, a clutch and you’re good to go. The dress cost me £15, can you say bargain!!!! Next up is this dressy, sequined number. It is a little bit on the heavy side but I love it. I actually saw this dress at the fcuk store about a year ago, but it was £245 at the time and I was broke so I just left it. When I saw it yesterday, I didn’t even think twice about getting it, and at £15 also it was a no brainer. Like the dress before, I think less is more here accessory-wise but hey I guess it’s a personal preference. 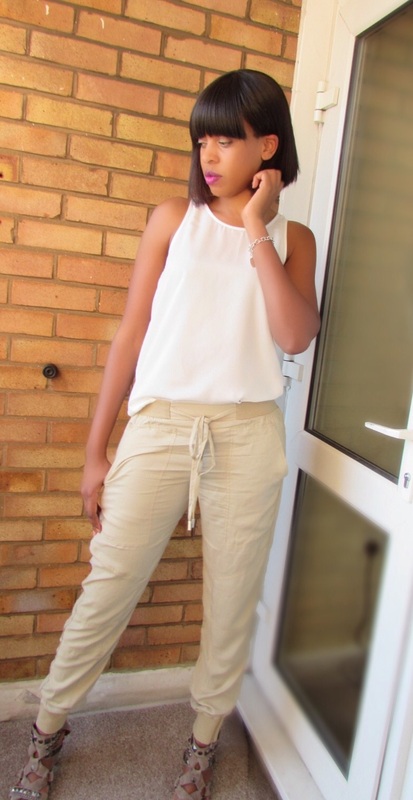 Next outfit is this super cute white ensemble that consists of this white silk and t-shirt blend top £5, and these sporty cuffed silk pants £10. Such a simple effortless summer outfit and also one for the holiday wardrobe for sure! 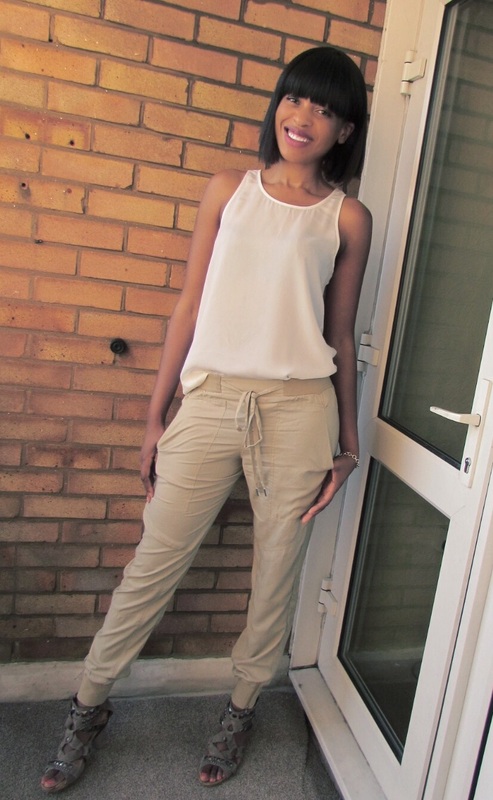 Next up is these khaki cuffed silk sporty pants, with an elastic waist and zips at the cuff of the leg £10. Omg they’re so comfortable I can see myself living in these, like the previous pair of pants these can also be dressed up or down according to personal preference. Same top as previous outfit. 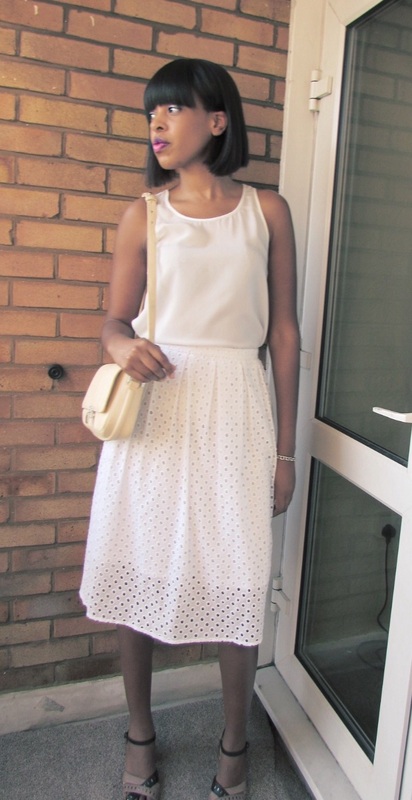 Now this midi skirt I absolutely adore £10. The material is eyelet lace with a cotton blend lining inside. Top is same as before(how versatile is this? ), I can see myself rocking this outfit to a lunch date with friends, summer picnic in the park anyone? Next up is these gorgeous high waisted linen shorts, these were just £5, say what? I love how you can easily dress these shorts up or down with accessories and maybe a pair of heels. The last item of clothing is these baby pink booty shorts, also £5. You can’t have a summer without booty shorts, obviously;-) especially if you’ve been putting in the work and working on those booty toning exercises. To me, these are just super cute and fun for the hot summer days. I paired them with this black and white stripey t-shirt also purchased in the sale for £5. Previous Post What I wore: Sunshine and bright colours in London! Amanda Millie recently posted…French Connection Sample Sale Haul! So many cute clothes. I love the dresses and love how you styled the shorts. Especially the fluffy tutu dress. All the outfits look great on you. Am impressed that you go all those for -£100. I feel inspired to shop now. Thanks for the tips I needed it. Especially the fluffy tutu dress. All the outfits look great on you. Am impressed that you goT all those for -£100. I feel inspired to shop now. Wow you picked up some amazing pieces! I loved them all, but especially the sequined dress. Love!